We are waiting for puppies! Our Busina (Ele Tori Dansi Damisi) is getting ready to become a mom! We expect the birth of puppies at 20-22 April 2019. Our Rhodesian Ridgeback puppies with love and professional care are grown at our home outside the city. Our dogs do not live in enclosures - they are part of our family and live with us in the same house. Puppies that grow in our house, since very young age immersed in the atmosphere of home smells and sounds, surrounded by our attention and communicate a lot with other adult dogs, with us and our child. 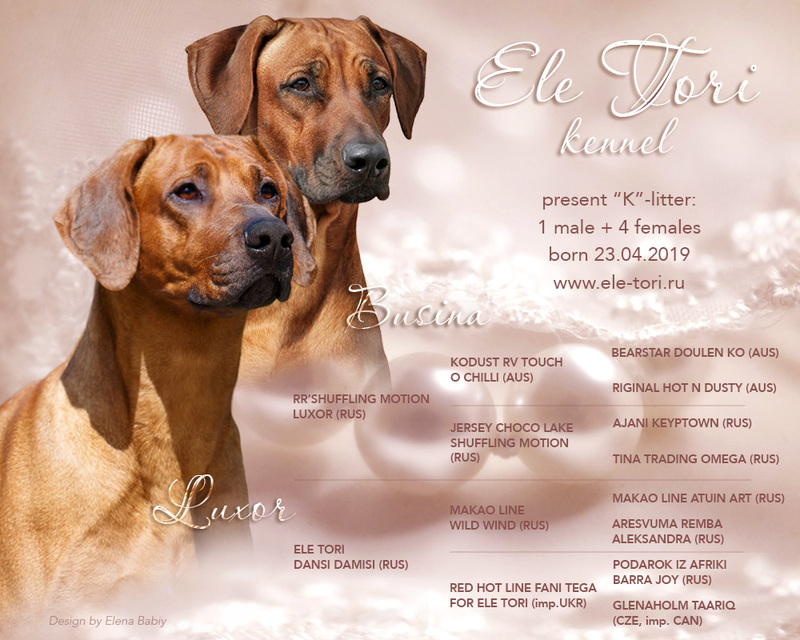 Our Rhodesian Ridgeback puppies for responsible, serious, loving and caring owners, that have dreams of the red four-legged happiness in their own home. 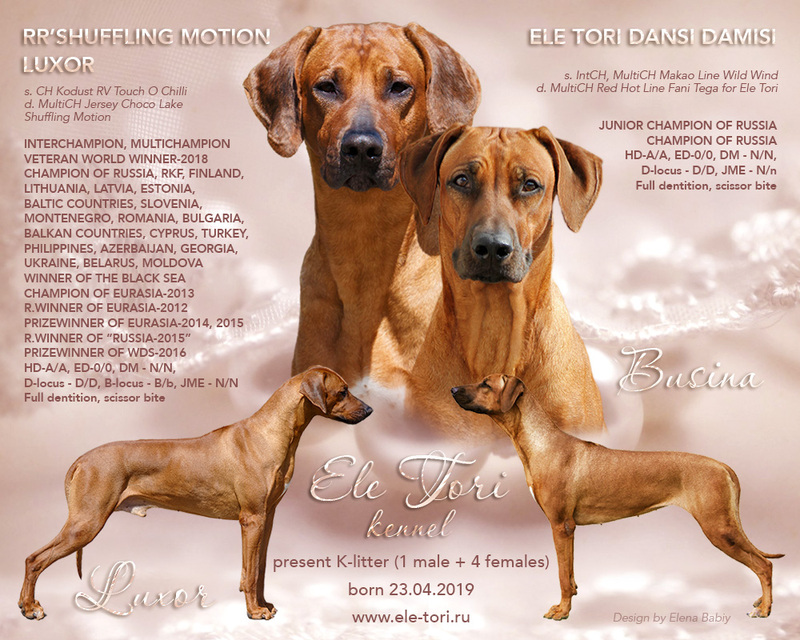 Puppies from our kennel lives in Russia, Ukraine, Belarus, Spain, France, Germany, United Kingdom, Finland, Hungary, Turkey. If you are interested in this wonderful breed and you are ready to purchase a Rhodesian Ridgeback puppy - we will be glad to communicate!